Need a light, tasty dish for when it’s hot outside? 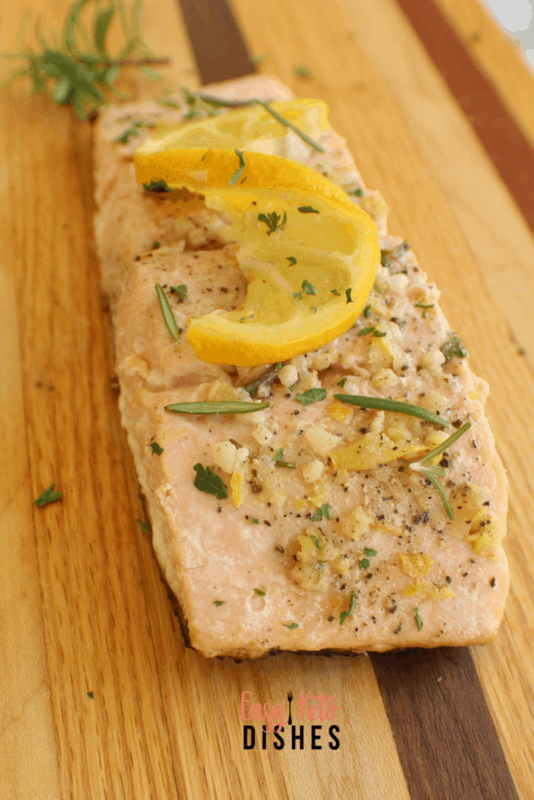 Try this moist, flaky, grilled salmon with lemon, rosemary and garlic! Have you ever had one of those “blah” days where nothing sounded good? Where food just bored you, nearly to tears, and the thought of eating almost scared you? 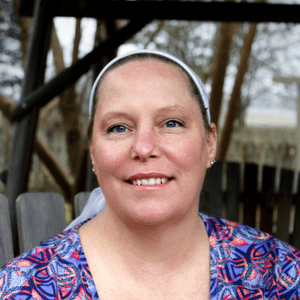 From what I have heard from many keto dieters, this is a huge issue. When you are fat adapted, and burning your body fat for fuel, you are not nearly as hungry as you used to be. Food no longer becomes a thing “I gotta have now”. You are learning to eat to live, not live to eat. While that is great for reducing inflammation, allowing the body to heal, and shedding unwanted fat, most of us have that nagging problem. Other people in the household want to keep eating. I know how frustrating that is, trust me! 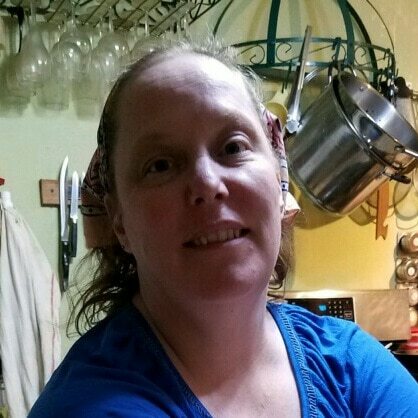 I was nearly finished with my shopping and searching the meat aisle for items on my list, and anything that was on sale for a great price. As if by divine inspiration, we saw this beautiful piece of salmon that just couldn’t be passed up for 50% off. They begged me to grab it for dinner. 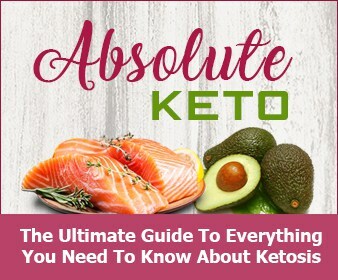 While the guys’ mouths were watering uncontrollably at the thought of salmon for dinner, I dreamed of all the ways I could make it delicious, and still stay within the keto diet guidelines. That means no teriyaki, no soy sauce, and definitely not a lot of other marinades. I had to keep it simple. As we all know, simple is best when cooking great food anyway. The flavor will shine through when you just have simple, great ingredients to use. Now, why on earth do you want to consume salmon? Should you choose wild or farmed salmon? The controversy over this is astounding. So many viewpoints on which is healthier-farmed salmon or wild salmon. Obviously, any food that was living in its natural, God created environment before landing on your plate is the better choice. Most canned salmon is wild caught. 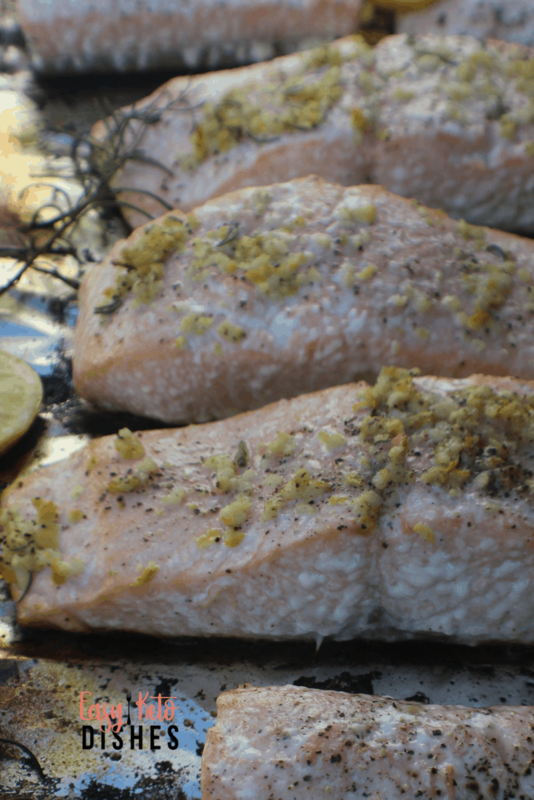 The majority of salmon consumed in the US is farmed from Canada, Chile, or Norway. Wild Atlantic salmon fishing is currently prohibited due to low supply of fish. This is the salmon that is sold as fresh, or frozen. This is partly due to the demand for salmon year round now. Salmon is a seasonal fish, and usually is more in abundance from late Spring through late fall, depending on the variety of salmon. For example, king salmon, also called chinook, are in “season” late May to early July. Sockeye salmon is in “season: from June to late July. Silver salmon runs commonly from July to October. Farmed salmon often given antibiotics to prevent fish lice, and sometimes are given artificial coloring dye to give them that vibrant pink color most people recognize. They are also fattier than wild salmon due to their inactivity. Let’s make some grilled salmon! Always start with a very hot grill. We heat ours to 400 degrees Fahrenheit before adding the fish. Use foil to help prevent sticking or if you don’t like foil, make sure your grill bars are VERY clean and oil them with a bit of avocado oil before adding the fish. 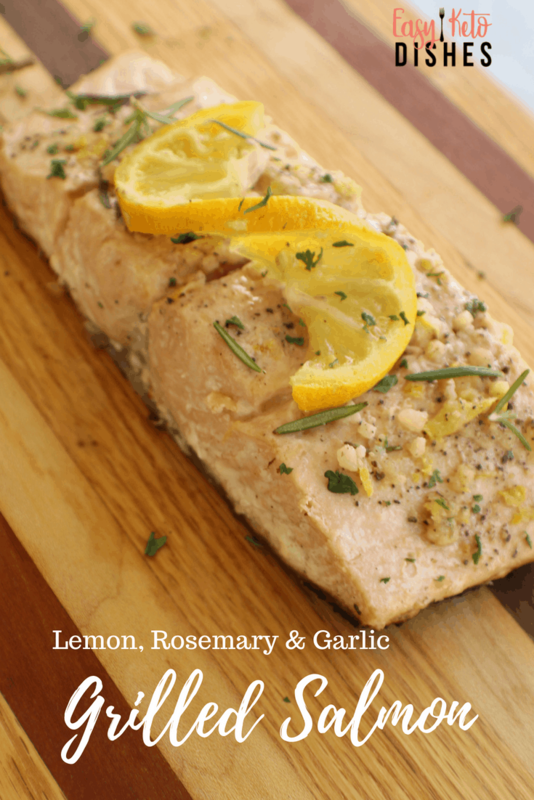 Add the lemon, garlic, and rosemary to the fish about 15 minutes before placing on the grill to allow the flavors to meld. Once the fish is on the grill, close the lid and DON’T TOUCH! Allow the salmon to cook for 10-12 minutes with the lid closed. You want the fish to flake off easily, with the fat rendering. The fat is the mayo-like white substance that comes out as the fish is cooking. If you don’t see the fat after 12 minutes, close the lid and allow for up to another 5 minutes to cook. Protein will always tell you when it’s done and ready to eat, when it sticks very little or not at all. 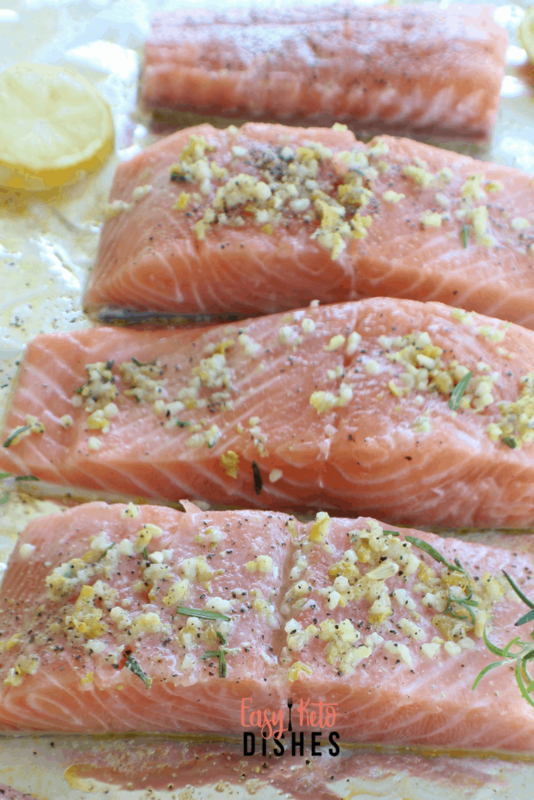 Remove the salmon from the grill carefully, and allow to cool for 2-3 minutes before serving. Try your grilled salmon with a side of fauxtatoes for a full, well balanced, keto friendly meal! Enjoy your grilled salmon! What other fish do you enjoy eating on the keto diet? Combine salt, pepper, garlic, rosemary and lemon zest in a bowl. Allow to marinade for 15 minutes, while grill is heating to 400 degrees. Place salmon skin side down, either on foil or well oiled grill bars. Close the grill lid, and leave alone for 10-12 minutes. After 12 minutes, open the lid and check for fat rendering or easily flaking fish. Grill up to an additional 5 minutes if necessary. Allow to cool 2-3 minutes after removing from grill before serving. 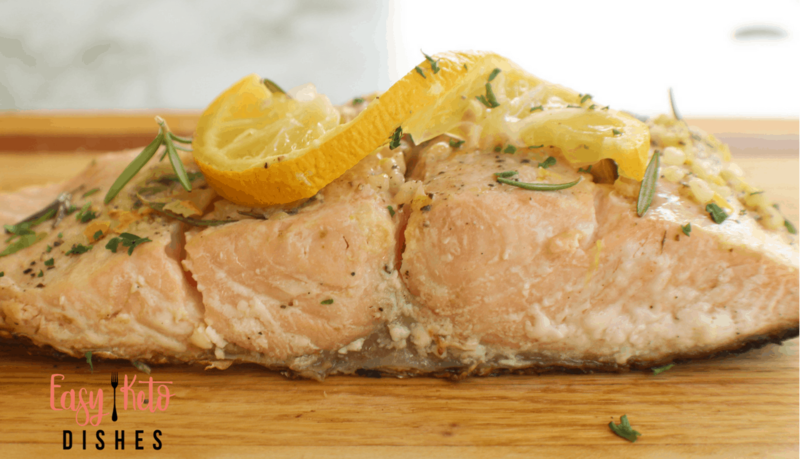 This is a perfect way to cook salmon whether you are on a keto diet or not! 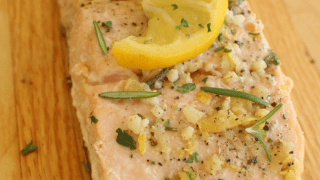 The flavors go beautifully with salmon! Yum!